The top of the Flint Water Plant tower earlier this month. Clean drinking water isn’t a scarce commodity in Boston. But the same cannot be said for Flint, Mich., home of one of the worst drinking-water crises in American history. Families there have been drinking contaminated lead-filled water for well over a year, prompting national outrage. The cases of water Small was collecting were headed for Flint. As the Flint disaster became national news, activists here began wondering how to contribute. Their idea was not just to donate water but, ideally, to raise awareness of the situation as well. The original impetus came from a group of state legislators, including Representatives Jeffrey Sanchez and Marjorie Decker, and Senators Jamie Eldridge and Dan Wolf. The project was quickly taken up by Small, who runs the Union of Minority Neighborhoods in Jamaica Plain. His group had also delivered water to New Orleans after Katrina, and to Haiti after its devastating earthquake in 2010, so he understood the logistics involved. Just as Tuskegee is America’s most horrific case of medical racism, Flint now epitomizes the worst kind of environmental racism. As it had after Katrina, Teamsters Local 25 donated a truck and a driver to drive the water to Michigan, and the parking lot of the Lena Park Community Development Corporation was turned into a bustling staging area, where volunteers dropped off supplies. Even Small was surprised by the breadth of support the project garnered. He got a call Friday afternoon asking if someone could come to the State House and pick up five cases of water donated by Governor Charlie Baker. He figures Baker or someone on his team saw the many posts on social media announcing the effort. The water crisis is less an environmental crisis than a man-made political disaster. 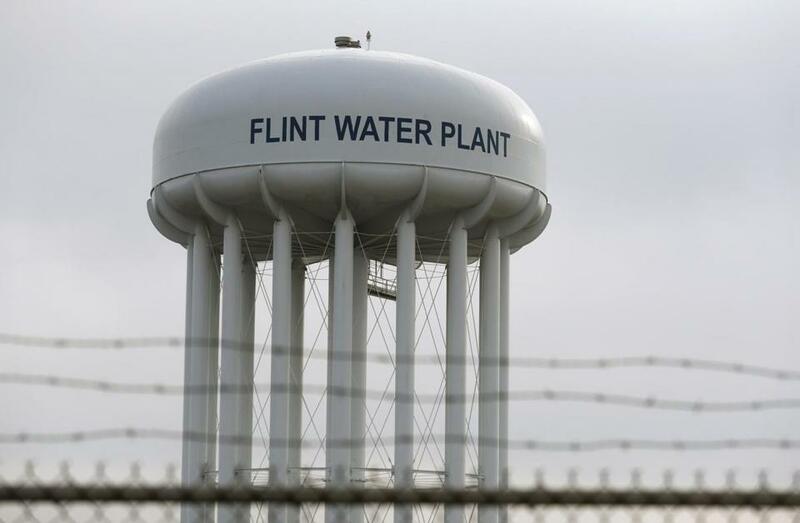 It began when the town administrator of Flint — a gubernatorial appointee — decided, in a cost-cutting move, to switch from the city of Detroit’s water system to a supply that came from the Flint River. Like a number of communities in Michigan, Flint is essentially run by officials appointed by the state, rather than its elected officials. There was just one problem with the water decision: the water in the Flint River is filthy. The state ignored a series of warnings that the water was hazardous, until it became a full-blown disaster, whose scope is still not entirely clear. Just last week, federal officials announced an emergency program for treating and testing Flint residents for lead poisoning. The governor of Michigan has also called for expanded Medicaid coverage for Flint residents. 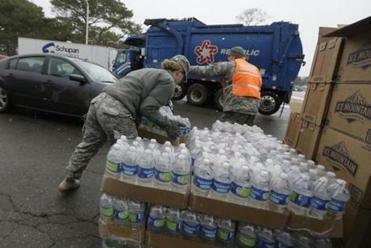 The truck departing Roxbury for Flint was full by late Saturday afternoon, and the water was delivered to Flint Sunday. The mayor and other local officials greeted the delivery and will handle the distribution. While the delivery of a few hundred gallons of water matters, activists said they were just as interested in demonstrating that the citizens of Flint have support outside their own backyard. Some expressed a belief that this could only occur in a poor, mostly black city. Most Bostonians probably knew next to nothing about Flint until its water woes became national news. But for one weekend, our cities knew a common bond, driven by a disaster that didn’t have to happen.